How will I be paid my lost wages? Does the other driver have enough insurance coverage to take care of my damages? Every week we receive calls and questions like these from Iowans hurt in car accidents. Some of the terms used by insurance companies can be confusing and hard to understand. As someone injured in an Iowa car crash you have both rights and responsibilities that you should know to avoid making a costly mistake in your case. 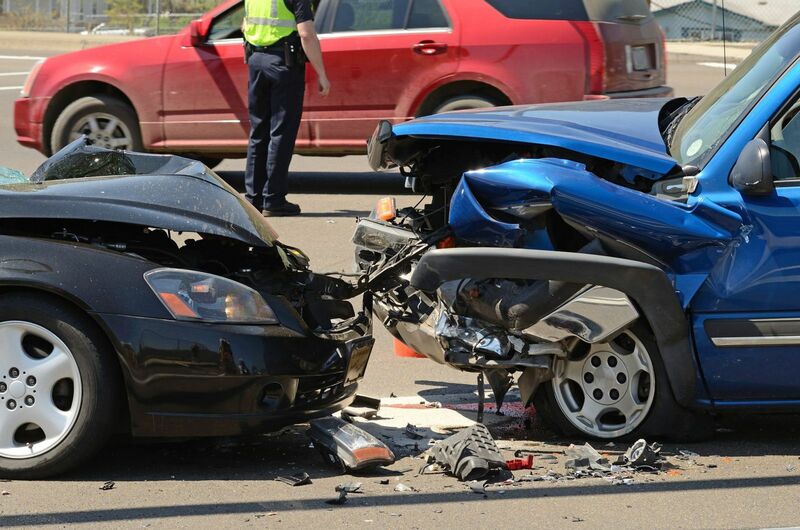 We discuss and explain many of these items here in our guide to Iowa car accidents. Should I tell my medical providers to bill the other driver's insurance company? No. If you do this, chances are your medical bills will not be paid and you may eventually be turned into a collection agency. The other driver's insurance company will almost never pay your medical bills as they are incurred. The insurance adjuster may say send me your bills, but that is not an agreement that they will actually pay the bills. This is a common technique used by insurance adjusters so that they can later put more pressure on you to settle for cheap once collections agencies start calling and bothering you. What you should do is to have your bills submitted to your health insurance company first. If you do not have health insurance, but have car insurance with medical payments coverage, then you could have the bills submitted to your car insurance. We explain the medical bill issue in more detail in our Iowa Car Accident Book that we offer free to Iowans hurt in car crashes. Also, make sure you look at your health insurance EOB's (explanation of benefits), described in further detail later in this guide, to make sure they are paying the bills or if they want more information about the car accident before they will start paying. Will the other insurance company pay my lost wages? Rarely will the other driver's insurance company agree to pay for your lost wages so you will need to look to other insurance coverage that you may have available such as short term disability, accident and sickness, etc. You may also have to use your sick time, personal days or vacation to be paid while you are unable to work due to your injuries following a car crash. If none of these are an option, then you hopefully have friends, family and/or a church that can help you in your times of need. If not, then your last resort may be to obtain a loan against your future potential settlement. Keep in mind that the rates for loans against personal injury cases often exceed 50% per year with fees, costs and charges and may result in you receiving nothing in the end. How will I know if the other driver has enough insurance? Insurance companies like to avoid telling you how much insurance coverage is available for several reasons, including the belief that if there is more coverage you will want more money to settle your case. Also, they like to keep it a mystery as it gives them more power. We have had cases where the insurance adjustor negotiated with us like they had a large policy and then at the end said "we will pay our policy limits of $100,000" when we were still asking for significantly more than $100,000 due to the severe injuries our client suffered. Iowa law does not require the insurance company to tell you how much coverage they have until you file a lawsuit and then it becomes discoverable. Patient's Medical Release: The insurance adjuster may send you forms including a patient's medical release that allows them to access all of your medical records. We do not usually have our client's sign such a form because there may be medical records that are not relevant or not necessary for the insurance company to obtain in order to properly evaluate the claim. However, keep in mind, if you are going to try to handle an Iowa car accident case on your own without a lawyer, the insurance company may tell you they will not make an offer until you sign the form. 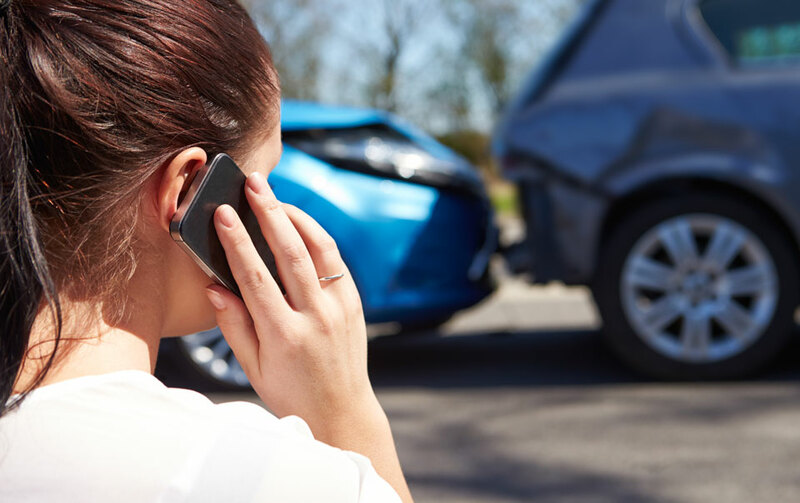 Personal Injury Case: A car accident is a type of personal injury case just like dog bites, slip and falls, medical negligence and other cases. Personal injury cases are different from say a workers' compensation case where liability and damages are treated differently. Recorded Statement: Often the insurance company for the other driver will ask that you provide a recorded statement. You are under no legal obligation to provide a recorded statement to the insurance company for the other driver. In fact, providing a recording statement often hurts more than it helps. For example, if they call you the day after the car accident and ask you "how you are doing?" and you tell them "I am just a little sore, but should be fine." However, later on you develop leg pain and find out that you have a herniated disc, they may try to use this against you in your case. Insurance companies and their attorneys will use whatever they can against you to try to cheat you out of money that you should receive. At trial, the insurance company attorney may reference your recorded statement and say "when you were asked a few days after the accident how you were doing you said "I am just a little sore, but should be fine", but now you are telling us that actually you were having leg pain and then developed a herniated disc requiring surgery. "Where you lying then or are you lying now when you are coming to court to ask for money?" This is just one of many examples of how giving a recorded statement could hurt your case much more than it helps. Know your facts and keep your cool. Try to keep a "poker face" even if you feel yourself getting angry or annoyed. Your attitude and credibility are very important and if the insurance adjuster knows how to push your buttons, then that can damage your case. Make sure that you understand the questions. If you do not know what a word means or do not understand what they are asking, then you need to speak up and tell them "I don't understand". Always take time to consider your answer before you give it. However, DO NOT THINK OUT LOUD. Answer all questions directly, giving concise answers to the questions, and STOP TALKING. DO NOT AD LIB TO THE QUESTIONS. KEEP ANSWERS SIMPLE: Yes, not that I can recall, not that I remember, I don’t know, I don’t remember at this time, I don’t understand the question, I can’t recall at this time. “No” unless you are positive that it has not happened. It is better to say "not that I recall." For example, if the insurance adjuster asks if you have ever had back pain or problems before if you answer "no" and there is a medical record showing you had back pain years ago then this can make you look bad and damage your case. However, if you say "not that I remember" or "not that I recall" then it will not hurt your case if there is a prior medical record. However, if you do remember having prior back pain or problems, please say "yes". “I have a bad memory”. If you say this, then your memory and testimony will be attacked. “I am a poor judge of distance” or “I am a poor judge of time”. If you say one of these things then anything that you testify to about distance or time will be questioned. Never volunteer any information. Wait until the question is asked-answer it and STOP. If you can answer “yes” or “no”, do so and STOP. So if the insurance adjustor asks what medications you are taking, you can tell him/her what you remember. You don’t have to memorize dates, however, you should generally know your doctors names and the treatment you have had (surgery, physical therapy, etc.). Stick to the facts and testify only to what you personally know. Do not exaggerate your injuries or losses. Be conservative with respect to a description of your injuries and adopt an unexaggerated attitude. However, it is not the time to "put on a happy face" regarding your injuries or their effects. Don’t start you answers with words like “frankly”, “the truth is”, or “to be totally honest.” If you start you answer with these words you are suggesting that you may be other than frank when giving answers not labeled as being frank. Don’t feel obligated to fill silences. This is a technique that sometimes insurance adjustors will use so you will just start talking. These are just a few tips in giving a good recorded statement should you decide to give one in connection with your claim. For more information about recorded statements feel free to call and ask to speak with one of our car accident attorneys. We provide car accident reviews and evaluations at no cost or risk to you. EOB (explanation of benefits): This is a form sent to you by your health insurance company or sometimes by your car insurance company when using your medical payments coverage. It is important that you read the EOB to make sure the medical bills have been paid. This includes reading the small print that may say they are denying the claim because they need more information. If your health insurance is denying payment, this usually means you need to call your health insurance company and/or respond to the letters they have sent asking you if your injuries were caused by a personal injury accident. If they request this information and you fail to provide it, your medical bills may end up not being paid by your health insurance. This may cause you to end up owing thousands of dollars in medical bills. This is why it is important to look at the EOB's to make sure the car accident related medical bills are being paid. Settlement: Every week we receive calls from Iowans injured in car accidents who want to know if the offer the insurance company is making is "fair". There are many factors to determining if an offer is "fair" including, but not limited to the nature and extent of your injuries, if you were hospitalized, if you required surgery, if you have permanent injuries or scarring, was the other driver drunk, were you partially at fault for the crash, etc. 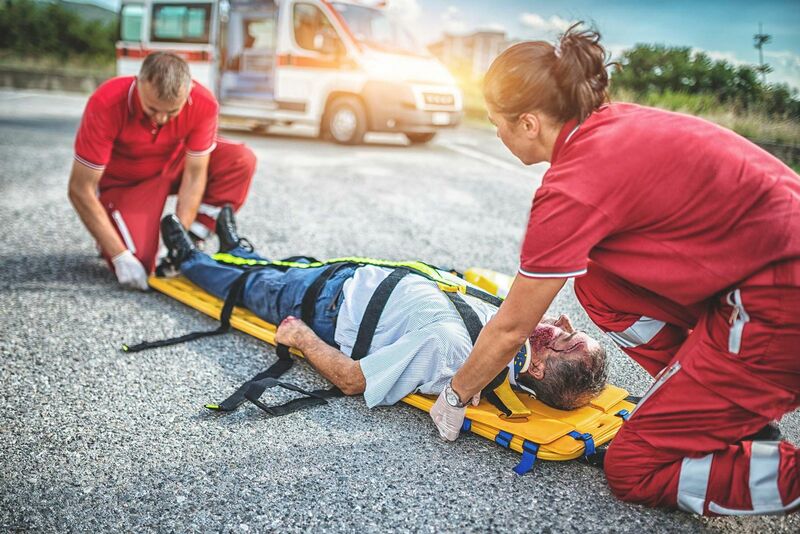 If you have sustained serious permanent injuries then your damages may exceed the available insurance coverage which in Iowa is only $20,000 per person for personal injuries from a car crash. If the other driver does not have enough insurance then you may need to turn to your own insurance policy for UIM (underinsured motorist coverage) explained next. Obtain written approval from your insurance company before settling with the other driver's insurance. This is because your insurance wants to me sure that the other driver does not have assets to collect upon in addition to the insurance policy. Have in writing who will pay back the subrogation interests which may include your health insurance, car insurance, medical providers, etc. File a lawsuit or have written and signed settlement documents involving the other driver and your insurance company within the tort time limitation (also known as the statute of limitations) with is generally 2 years from the date of the car accident here in Iowa. Warning: do not wait until the last minute to decide to file suit or pursue your claim and bad things can happen. In order to properly and best help our clients, we like to have at least 6 months before the statute of limitations expiring. Trying to handle the complexities of a UIM case on your own without an experienced car accident attorney can be difficult and dangerous. Further, depending upon the amount of the subrogation interests, handling the case on your own may leave you with little or nothing. Our attorneys guarantee that they will help you get everything that you deserve under the insurance policies that are available. UM (uninsured motorist) Insurance Coverage: This is insurance coverage you should have on your car insurance policy that provides you with compensation if the negligent driver had no insurance at all. The amount that is available to compensate you for your damages is limited to the amount of insurance coverage that you purchased. There are specific procedures for you to follow to successfully obtain UM compensation and keep at least some money in your pocket after paying the subrogation interests in your case so you may want to seek legal help. Subrogation: This is a general term that basically describes money that you have to pay back from the total proceeds of a car accident settlement. This is most commonly your health insurance company and/or your car insurance company. Many health insurance companies will hire contractors like Accent, Rawlings Company, Acuity and others to pursue the recovery on their behalf. For example, if the other driver has $100,000 in insurance policy limits and your injuries are severe enough that the insurance company offers their policy limits, then you need to know what has to be paid back from the settlement. Let's say that your health insurance paid $60,000 for your medical care and treatment. If you try to handle the case on your own, the insurance company will likely write checks directly to your health insurance company for $60,000, pay other subrogation holders and give you what is left over. However, if you decide to hire a qualified and experienced Iowa personal injury attorney who handles car accident cases, chances are your attorney will be able to put more money in your pocket than what is just left over. There are subrogation laws in Iowa such as the "made whole doctrine" and attorney fee provisions that require most health insurance companies to accept a greatly reduced amount. Also, a personal injury attorney can help you look for other places to be compensated such as your own UIM insurance coverage. Liens: Under Iowa law the only medical providers that are legally allowed to file a lien are hospitals. They can file a hospital lien against your case in hopes that they will be paid the full amount of their bill. There are laws that provide if the hospital files a lien instead of billing your health insurance, they will have to take a reduced amount for their services. Sometimes chiropractors and other medical providers will want you to sign a "lien agreement" in your case. This may or may not be a good idea depending upon if you have health insurance, etc. As someone with an Iowa car accident case you have other rights and responsibilities which we explain in more detail in our Iowa Car Accident Book that is available to you at no cost or risk. Just request the book and we will immediately send it to so you can read it in the comfort of your own home. As a bonus, we will include our Iowa Personal Injury DVD which tells you 20 Things You Need to Know About Iowa Personal Injury Cases. For Immediate Assistance or to schedule your no cost Car Accident Case review, CALL 641-792-3595 and ask to speak to one of our car accident attorneys.